LOADED! S-LINE! This 2011 Audi Q5 Premium is ready to go! White exterior with brown leather interior and woodgrain tirm. Keyless entry, heated seats, navigation, panoramic roof, rear air, dual climate controls, steering wheel mounted controls, CD player, telematics system, back-up camera, and more! This Q5 is equipped from the factory wit the Premium package. 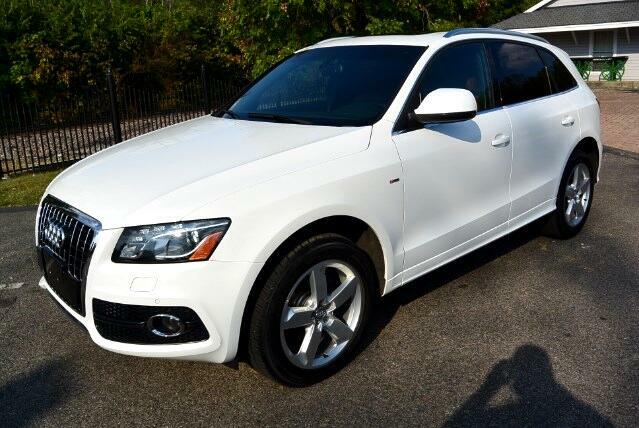 Powered by a 3.2 Liter V6 this Q5 is all-wheel drive and has an automatic transmission. Come by and see us today!! !